The African Observatory for Environmental Humanities is part of an international collaborative project by the Consortium of Humanities Centres and Institutes (CHCI). Under its network Humanities for the Environment (HfE) funded by the Andrew W. Mellon Foundation several Observatories were established geographically spanning North America, Asia, Australia, UK and African. HfEhas as its main objective identifying, exploring, and demonstrating the contributions that humanistic and artistic disciplines can make to understanding and engaging with global environmental challenges. Using as its point of departure the spiritual idea found in a number of indigenous traditional societies in Africa, namely, that human beings are earth keepers rather than earth exploiters, the African Observatory seeks to harness and mobilise indigenous forms of nature conservation as a way of engaging with what has come to be described as the anthropocene age. “Earth keeping” does not only provide us with a model for preserving the earth, it is also a form of critique of those local and global practices (especially global capitalism), that have contributed to the degradation of the African environment. 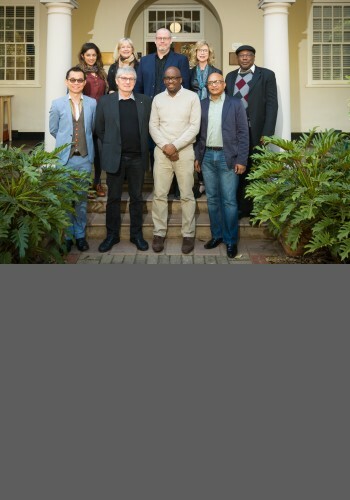 Blog for Digital Humanities at the University of Pretoria.